Can Swansea make it three wins out of three? Friday night football comes from St Andrew's as Birmingham take on Swansea in the Championship. Read what Mark O'Haire thinks of the encounter. "Impressive early results have lifted the gloom and the visitors can be considered fair favourites here"
Garry Monk admitted Birmingham were fortunate not to concede more than once when the Blues went down 1-0 away at promotion-chasing Middlesbrough last weekend. The City boss suggested his side weren't at the races - particularly in the first-half - and deserved their defeat on Teesside. That loss left Birmingham with a solitary point from their first two games having thrown away a 2-1 advantage at home to Norwich in the 91st minute in their campaign curtain-raiser. And Blues fans were left feeling bleaker in midweek as Monk's men exited the EFL Cup at Reading. The hosts will be without the suspended Craig Gardner for Friday night's fixture and are set to continue with rookie keeper Connal Trueman between the sticks with David Stockdale and Tomasz Kuszczak being frozen out as the club seek to move them on before the end of the month. 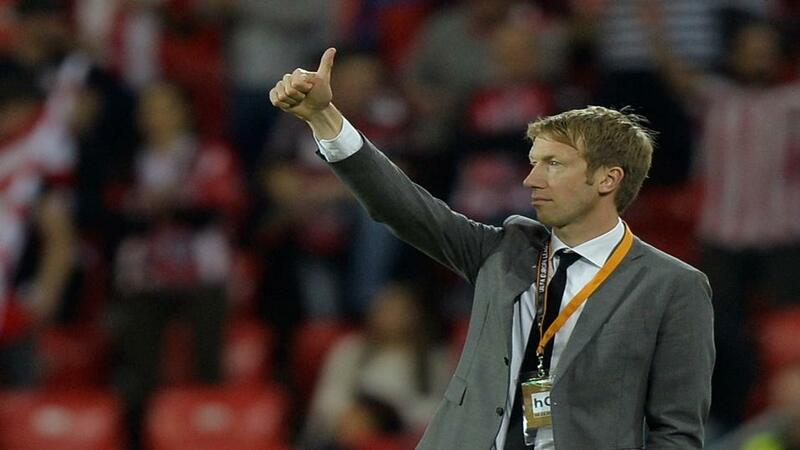 New Swansea manager Graham Potter has made a dream start to life at the Liberty Stadium, guiding the recently-relegated club to back-to-back wins in the Championship. Sheffield United were beaten 2-1 on the opening weekend before the Swans ground out a resilient 1-0 success at home to Preston. Potter's appointment was considered a calculated risk by the club. The Englishman made headlines having guided Ostersunds from the fourth tier of Swedish football to the top division, and then into European competition, and the early signs suggest he'll flourish in charge of the Welsh outfit. Swansea weren't in EFL Cup action in midweek but will be without new signing Declan John through injury. Goalkeeper Kristoffer Nordfeldt is also unavailable and so Erwin Mulder will pick up the gloves, while inexperienced 20-year-old centre-half Joe Rodon should continue alongside Mike van der Hoorn. Bizarrely, in the post-war era, Welsh sides have collected just four wins in 43 league visits to Birmingham and the Blues' last triumph against Swansea came in back September 2013 in Garry Monk's final match as a player before retirement. Monk has overseen seven fixtures as Birmingham [3.05] boss at St Andrew's and the results have been positive with Blues returning W4-D2-L1. Fulham and Sheffield United were both toppled here last term under the current management although both victories came towards the tail end of term. Swansea's [2.64] fans voiced their displeasure at the club's American owners and chairman Huw Jenkins after a succession of sales on deadline day left the squad paper-thin coming into the campaign. However, impressive early results have lifted the gloom and the visitors can be considered fair favourites here. With [1.85] available on the guests in the Draw No Bet market, the Swans are worth supporting knowing a stalemate will see our stake returned. Neither Birmingham nor Swansea are renowned for their swashbuckling attacking style of play, although the pair have conjured up a sole clean sheet between them across the opening two rounds of action suggesting there could be a touch of value in supporting Over 2.5 Goals at [2.30]. Graham Potter's Ostersunds side saw matches average 2.67 goals per-game during domestic efforts in Sweden and with Garry Monk's Birmingham thus far featuring 7/13 (53%) profitable Over 2.5 Goals punts, there's enough evidence to believe Friday night's encounter could produce plenty of goalmouth action.